I know that chili isn’t really a warm weather dinner, but we have had our typical June Gloom around here and a warm bowl 0f chili still hits the spot for me. And, this is not your typical meaty and heavy chili! 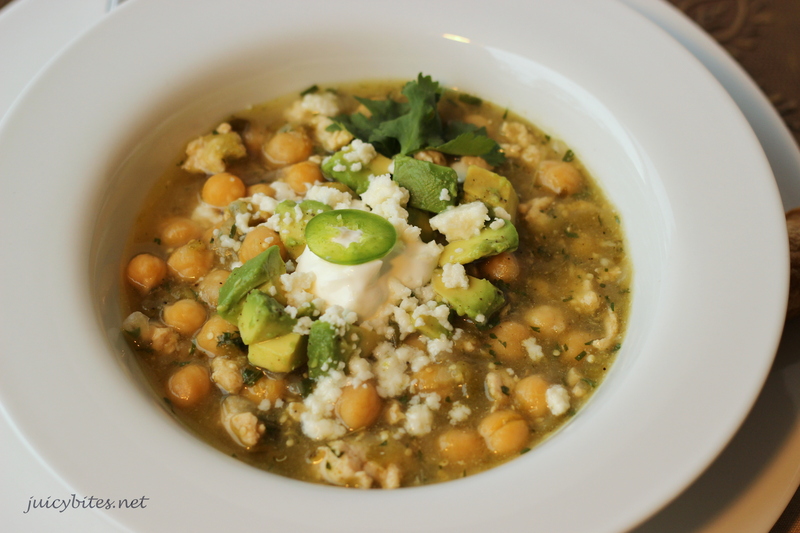 This chili is light and zippy, thanks to the lean ground chicken and the tomatillos. I used garbanzo beans, which I love, because I had a bag in the pantry. You can used canned too, but it’s so easy to boil up a pot of beans if you have the forethought to do it and they taste a step above the canned ones. You could sub whatever your fave bean is and it would be just as delicious! 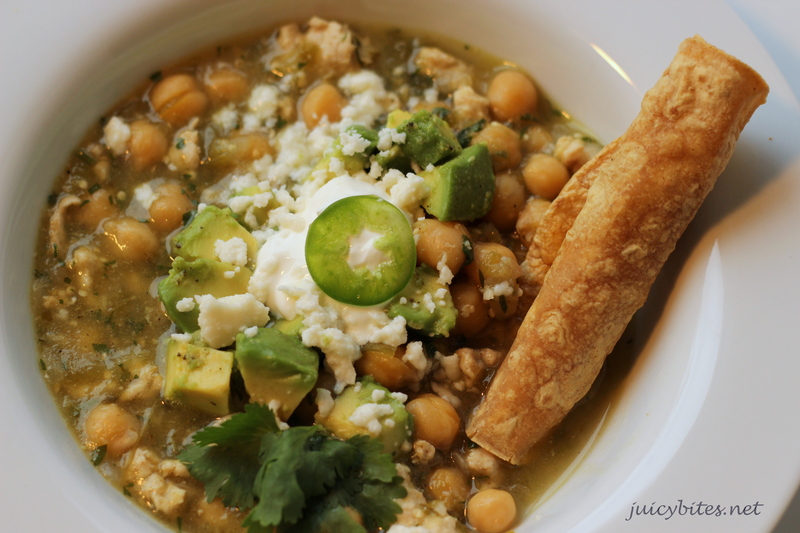 You may know from some of my other posts (like my avocado and tomatillo rellish) that I LOVE tomatillos! They are so easy to cook with and add such great flavor to sauces, salsas, soups and stews. The only prep they need is removing the green husk and rinsing them well in warm water to remove the sticky film that they have. You can roast them whole and blend them for a sauce or chop them up and throw them in a pot like I did for this dish. A quick saute of some chopped poblano pepper and onion start this easy dish. From there you just need to brown your ground chicken (organic if you can get it! 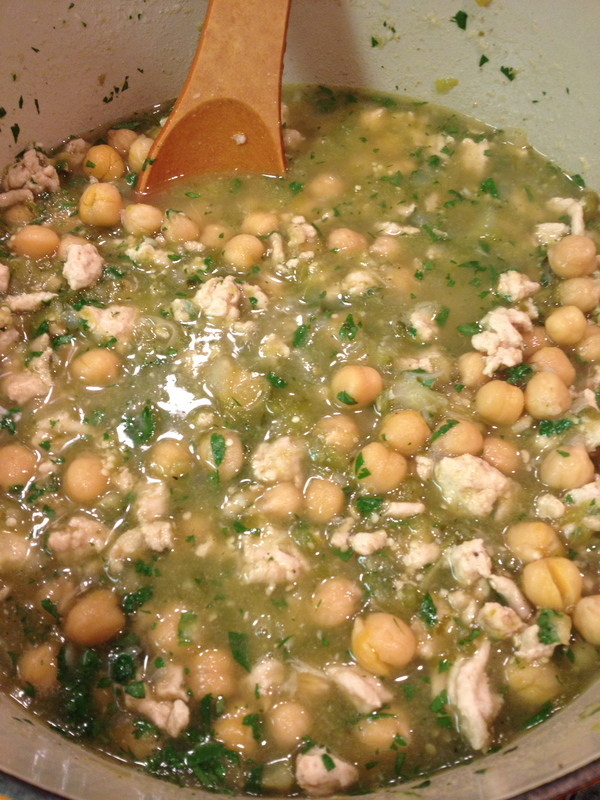 ), then add in your chopped tomatillos along with some stock and beer. Once you bring it to a simmer, you just throw the lid on and let it do it’s thing. 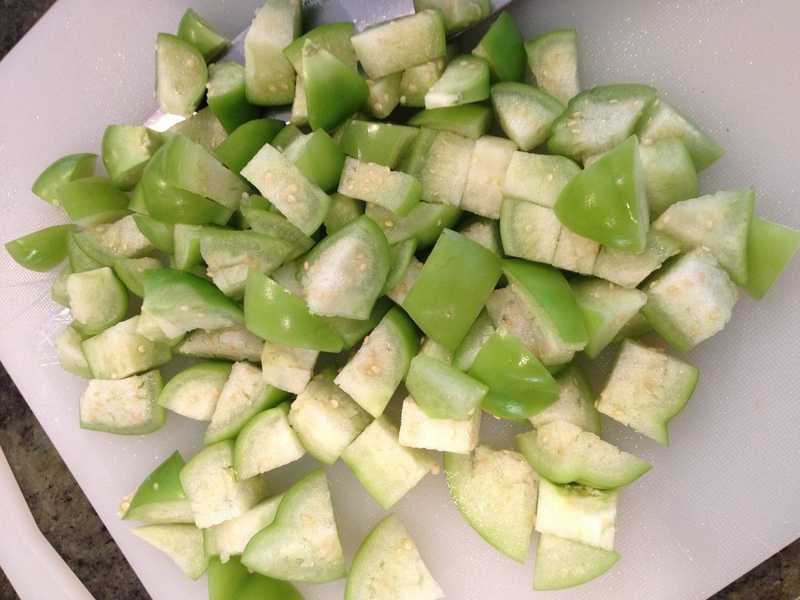 After it “stews” for about 30 minutes, the tomatillos will break down and make the perfect green sauce. Keep in mind…this is a really mild chili. If you want to heat things up a little, throw in a couple of finely chopped jalapenos or a serano when you are sauteing the onion and poblano. I kept this mild for my 6 year old. 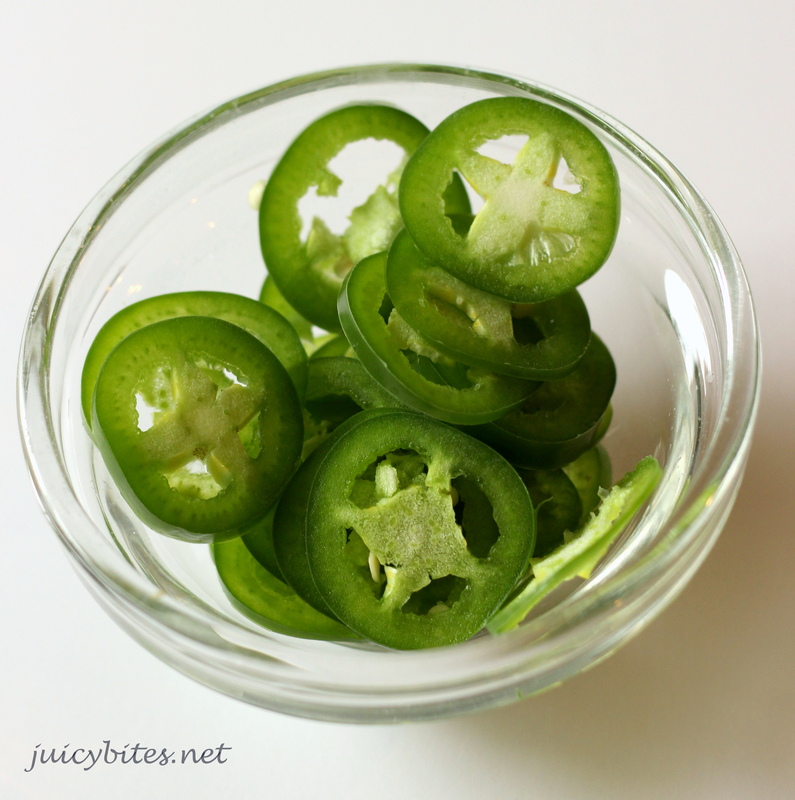 My heat loving husband and 9 year old added plenty of jalapeno slices to their bowls. After I served this, I thought it would have been great over some white rice. I think I will make some to serve it with next time. I did make some little quesadilla roll-ups with these cute mini corn tortillas I found. They were tasty for dipping! In a large dutch oven, saute the onion and poblano pepper for about 7 minutes. 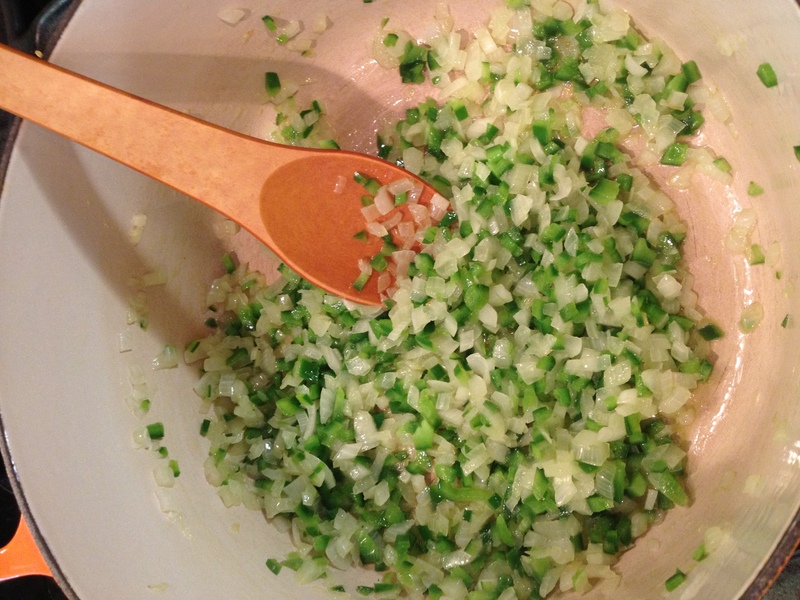 Add the cumin and minced garlic and cook another minute. Add the ground chicken and cook, breaking it up with the side of a spoon, until it is cooked through. 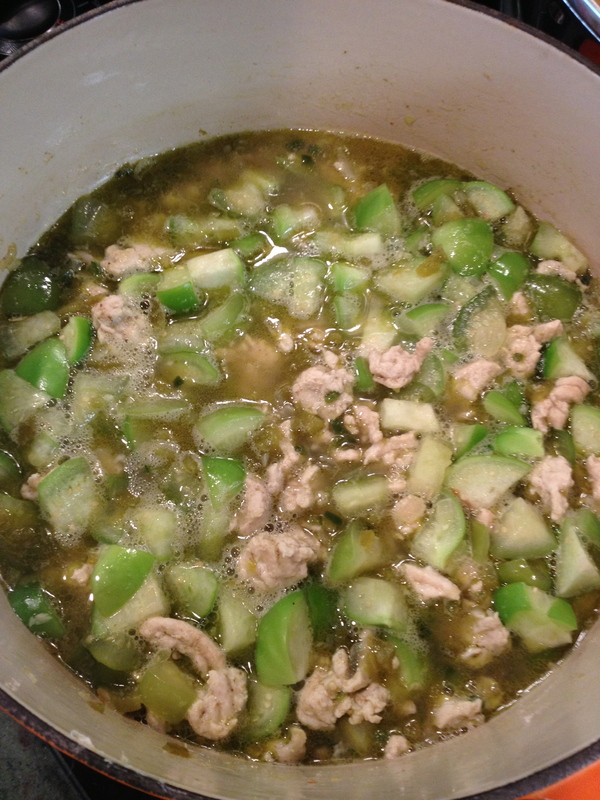 Add the salt, chopped tomatillos, chopped green chilies, beer, and stock, and bring to a simmer. 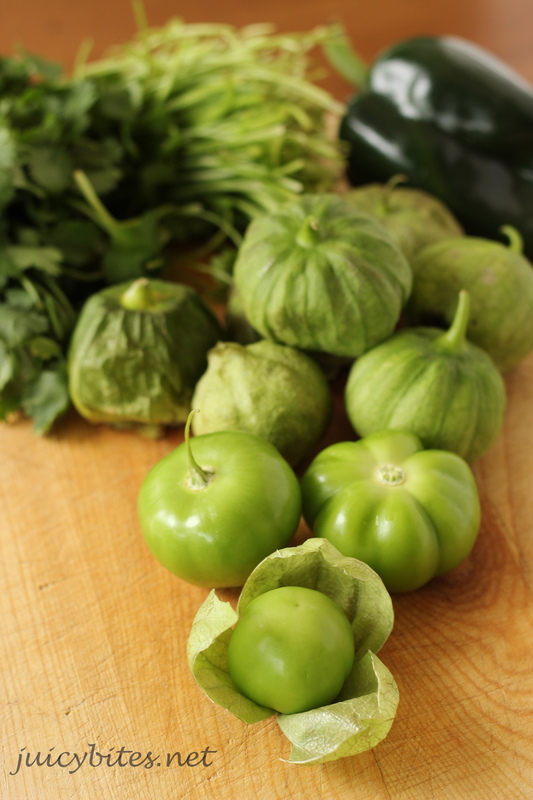 Cover and lower the heat and simmer for about 30 minutes or until the tomatillos have broken down. Add the garbanzo beans and cilantro and cook until heated through. Taste to see if you need any additional salt – that will depend on how salty your stock is. Serve in a bowl, over rice if desired, with optional garnishes. YUM!!! Was so easy to make and it was delicious over white rice. I’ll be making this again very soon for company. So glad you liked it! Thanks for trying the recipe! Making it again!! This is great! !